Ram Viswanathan: '4' means die ? 4 means die (in Cantonese) ? I was in Kula Lumpur (KL) recently and noticed that there was no 4th floor optoin in several elevators. The numbers ran like this: 2, 3, 3A, 5.. I asked around and was told that the number 4 is unpopular amongst Chinese because in Cantonese four means die. 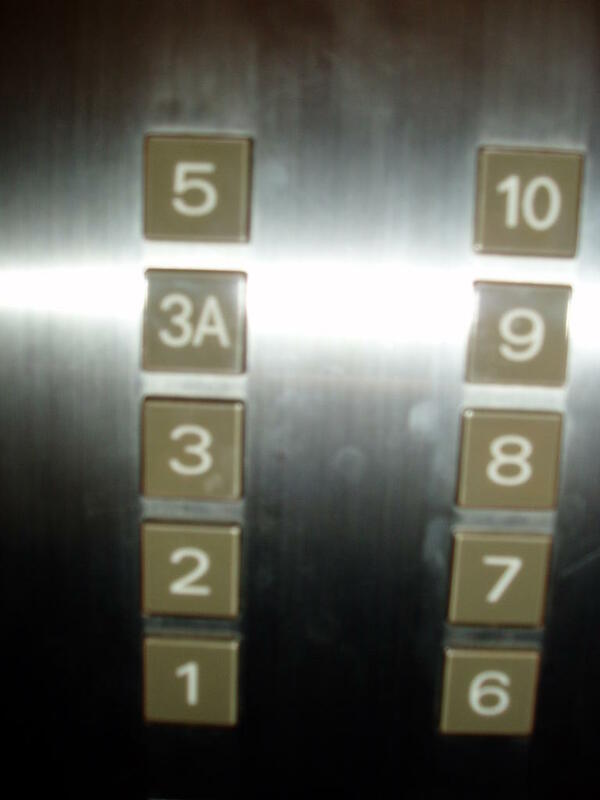 So, the buildings that are owned by Chinese generally avoid number 4. This brought back the memory of a similar scenario in US. In the old IBM office building in Columbus, OH was there was no 13th floor. It simply ran 11, 12, 14, 15..
Now, what's the unlucky / unpopular number amongst Indians? Is it Number 8? and all this in developed countries of the world :) can't help but laugh. Funny....I've also heard this..! But you have proof now..!! Crazy people - Mooda nambikkaigalukku alave illai.!!! Thank god..they build these floors atleast.! Imagine a building in China with all the 4/14/24/...etc floors just empty I mean only the columns.! Wonder what the Chinese would do if someone was born on the 4th 14th 24th? etc. These kinds of belief systems seems to prelevant across the world in various forms.. I wonder if this was the reason Chinese didn't bid for 2004 Olympics ? I was talking to Bin Shu - My Taiwanese colleague here and he says only 4 is Bad.! Is it possible, the 'meaning' vares by region ? 'cause I spoke to few of my Chinese colleagues to confirm this before I posted..
8 is considered very lucky by the chinese. Lucky draw prizes could be $888 or $8888. i guess 2004 might not be as bad as 4. 4 doesn't mean Die in Mandarin (the popular dialect of Chinese) but the Mandarin equivalent of 4 and the word Die (in Mandarin) are rhyming words. Yes.. i have heard about the 8 being the lucky number.. Thanks for shedding more light on the number 4 thing..